Is the Stock Market Going to Crash, or What? These are just some of the headlines that we have been seeing lately on the news sites. It sounds like the world is ending, doesn’t it? For those who aren’t familiar with what has been happening the stock market, we have been in the most epic bull run (uptrend) in history. The majority of Millennials probably didn’t start earning in their retirement accounts until after the 2008 financial crisis. This means that most Millennials have no clue what it’s really like to live through a true bear market (downtrend) after you’ve built up funds. Millennials have been spoiled by mostly only seeing their stocks go up in value over the years and historically low interest rates (who doesn’t love some cheap money). They probably have been feeling quite wealthy knowing their 401-K or IRA is making money on the regular. With that said, I understand the paranoia and worry ensuing. Change isn’t the easiest thing to process, especially when it comes to changes in your net worth. If you don’t have an understanding of how market trends work, it can be quite intimidating to see some of these headlines on the news. To add insult to injury here, talking heads have been calling for a crash in the market for years, and it never came. So it has only added to the bull market euphoria we’ve all been experiencing and some just assume it’s never going to end. So, is the Market Going to Crash or What? Downturns in the stock market are not only inevitable, but they are actually healthy. If you’re savvy, you’ll be happy to see a market dump, because you can find more bargains than at a T.J. Maxx (unless you’re ready to retire soon, that’s a whole different situation). Chances are, yes, we will see the market sell off a bit more in the future. If we do, does that mean you should sell off of your stocks and panic? Quite the contrary in my opinion, but it all depends on your situation. You probably have decades to go until you can retire. So, today’s prices could look cheap in another 20 years. Nobody knows 100% though, which is what makes all of this so mystifying and quite frankly, confusing as hell to many. We could even see the stock market reach all time highs again before we see any bigger selloff. It’s quite impossible to time the market perfectly. Experts have been trying and failing miserably for years now. The idea is to have a long term plan and have a plan in place for when stocks do take a nose dive. If you’re looking too short term, it could hinder you. You don’t want to be the person that sells at the bottom of the trend only to see the market come right back. What do people do when things go on sale at their favorite store? They buy at a discount. This is a concept many don’t follow when it comes to the market. They run away and panic when stocks actually are cheaper. I’m a millennial (an older one), who was a working adult during the financial crisis of 2008. I saw people very close to me lose their homes and ride the struggle bus for a while. It wasn’t an easy time, however, I study the stock market and know how it works and has worked in the past, so I tend to see downturns as big opportunities. I also tend to get frustrated with news headlines. The market has recovered stronger after every bear market. Obviously, past performance doesn’t predict future performance and it’s possible we could all end up blind sided. However, there are ways to become more confident and tune out the noise. I know it’s easier to watch Netflix and chill than learn about the stock market. However, we live in a world now where we can learn about anything, anytime, anywhere. Technology is even changing the financial advising industry and making it much more affordable and attainable to manage your own portfolio. Take advantage of knowledge at your fingertips and try to learn a little bit about the stock market if you do have a retirement plan or some stocks sitting around. 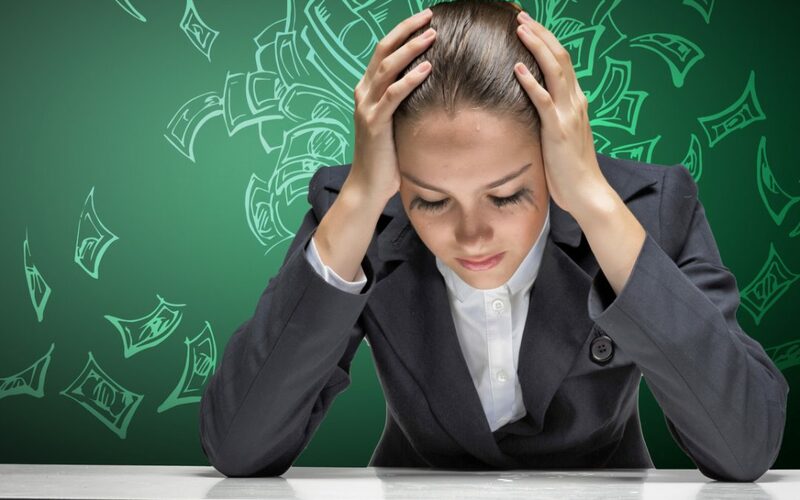 I know it’s enticing to just leave it up to whoever manages your retirement account, but if you’re finding yourself getting anxious and worried, maybe it’s time to take a few hours a week to educate yourself a little. Who knows, you may even enjoy it? You’ll fare better knowing a little bit about how to value a company or value the stock market in general. Or simply even studying prior market cycles to see what happened after every bear market. By looking at this image, you can see that each selloff has been followed by a recovery eventually. The run in price from around 1500 to almost 3000 has been without a very deep selloff. So, could the market pullback more from here? Absolutely. There is a lot of room to fall below the current prices. However, it’s ultimately up to you to decide if you think this is really going to be the end of the world for your portfolio or if you see opportunity in the making. By subscribing, you'll get access to our free online community. 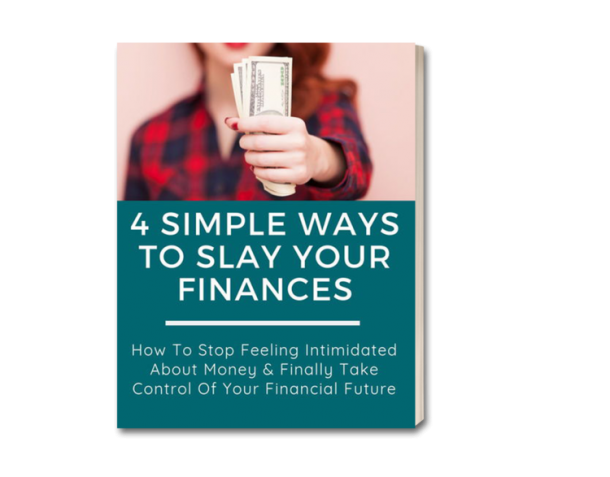 You'll also receive our "4 Ways To Slay Your Finances" guide right away. This guide was created to help you learn the 4 main ways to maximize every dollar you save AND spend.